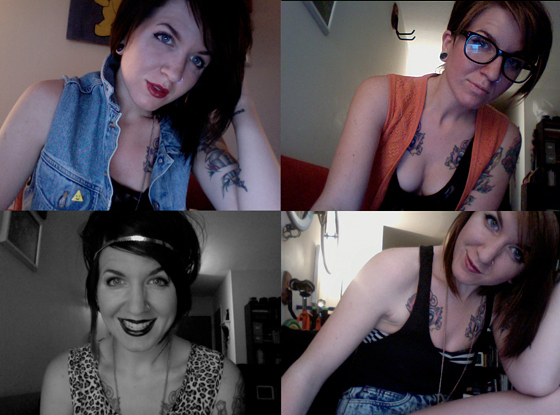 My personal style is a mix of so many things — girly, thrifty, hipster-y, 90s, and Peg Bundy. I consider my closet to be rather unique since a lot of my items are thrifted, altered, or totally DIY. I can sport black lipstick or bare lips, skirts or sneakers. I consider it to be an accumulation of years of my "collecting" and bargain hunting. I love it! My style is a mix of many things too from 70's punk to old school reggae (think Shabba Ranks...his sunglasses and gold rings were amaazzzinnggg). I think people limit themselves too much when it comes to style rather than just letting it flow.